The Occupational English Test (better known as OET), is a testing system designed to measure the English language competency of healthcare professionals who intend to move to and register in English-speaking countries. The test looks at the abilities of candidates in four areas – speaking, writing, reading, and listening – to assess their overall English ability, although it is of course tailored for candidates who work in the various fields of healthcare. Until August, 2018, OET candidates were assigned grades ranging from E-A; however, a new scoring system has been implemented that assigns candidates a numerical grade, ranging from 0-500. 450-500 Extremely fluent in English, and able to communicate with patients and/or co-workers easily. 350-449 Able to communicate effectively with patients and/or co-workers, although some inaccuracies or hesitations may occur. 200-349 Able to function in a professional capacity despite occasional errors, and able to understand dialogue specific to their particular field. 100-199 Can interact and follow basic instructions, but may require clarification. Errors frequently occur, causing strained communication. 0-99 Can only engage in simple dialogue, and high frequency of errors causes communication breakdown. This grading system allows for healthcare programs around the world to ensure the English levels of prospective employees. As can be seen from this table, a score of 350 or higher indicates the sort of ability that would be desired by most healthcare systems. Listening 40 minutes 2 parts Candidates must understand a range of spoken materials, including patient consultations and lectures. Reading 60 minutes 2 parts Candidates must read and understand different types of written healthcare-related materials. 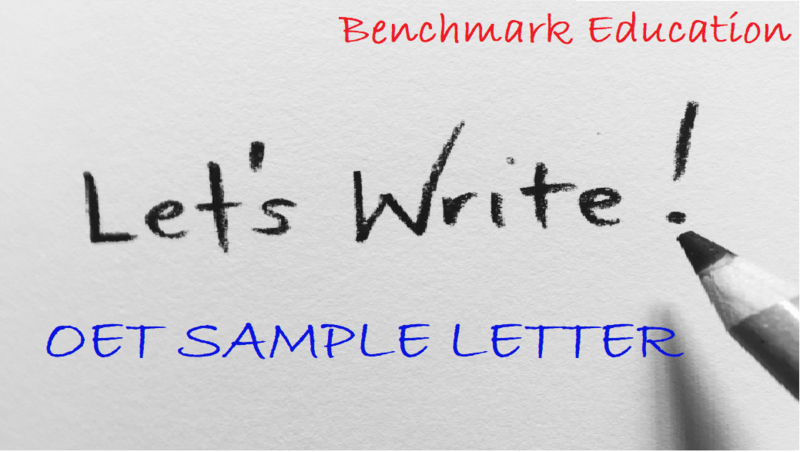 Writing 45 minutes 1 part Candidates must write a letter clearly and accurately for a reader. *This is specific to the candidate’s field of occupation. Speaking 20 minutes 2 parts Candidates must communicate effectively in a role-play situation. *This is specific to the candidate’s field of occupation. 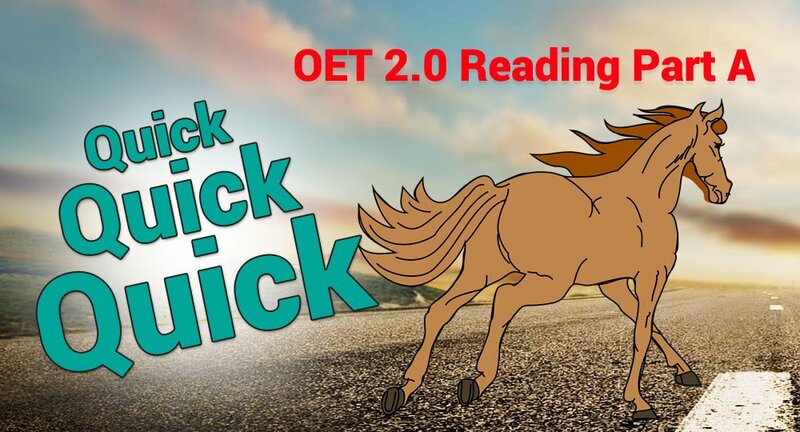 OET examines candidates’ abilities in speaking, writing, listening, and reading. As such, there are four separate subtests, one for each of these areas. The two receptive skills – reading and listening – are intended to determine how well a candidate can understand written and spoken English in a medical capacity. These two tests are the same regardless of a candidate’s occupation. This is different for the writing and speaking tests, which are specific to each of the occupations covered by the OET. The listening and reading subtests are marked by OET examiners at the testing center. They will be randomly and anonymously assigned in order to prevent any sort of cheating. 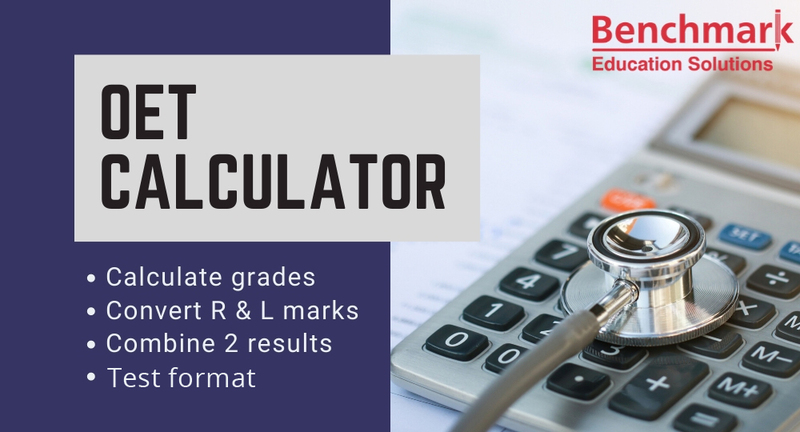 The examiners are required to strictly follow a guide that tells them how to mark your answers and calculate your score. 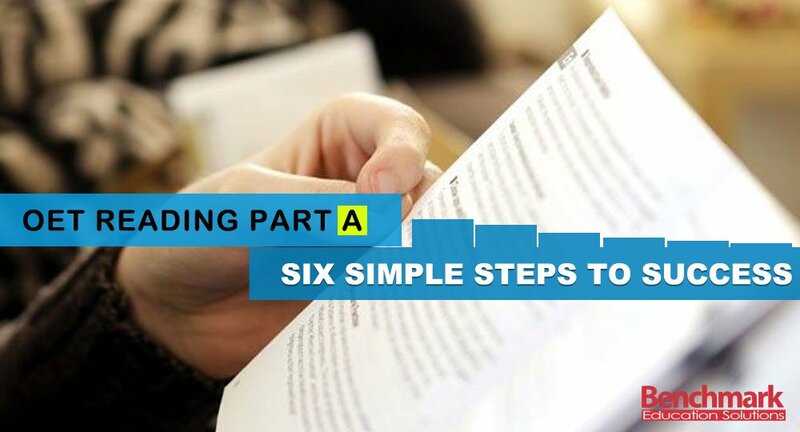 Part B and C of the reading test are handled differently: It is marked by a machine, which reads data from the paper after it is scanned. The whole system is closely monitored to ensure fairness and accuracy. The audio files from the speaking test and the written papers from the writing test will be collected and randomly assigned to examiners for grading. These will be re-checked in order to ensure that a fair grade has been assigned. A particularly strict examiner may have their grading system altered to bring it more in line with OET standards. 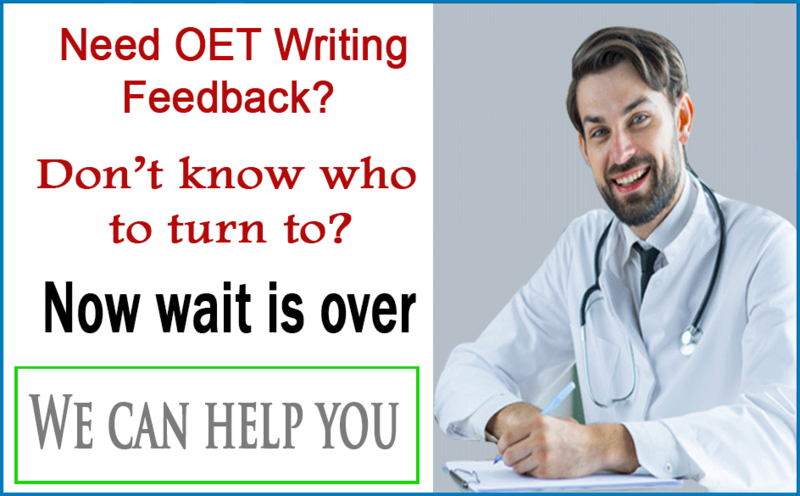 A consensus is required from the two (or more) examiners who look at a speaking or writing test in order for the grade to be accepted and published by the OET center. 1. Task has been completed. Communication was effective. 2. Appropriatelanguage used. Speech was intelligible. 3. Understood the material. Spoke fluently. 5. Spelling, punctuation, etc. Grammar and other resources used well. There is no passing or failing grade for OET, but most boards and councils require a score of at least 350 in order to consider a candidate for employment. To achieve this, candidates would need to perform well in all five of the criteria for each subtest. The standards are very high, but adequate preparation can allow students a good chance of scoring highly in these parts of the exam.